In small groups you set off into the night with your map along a specially prepared route that follows the ghouls and spectres of Penryn. As you explore, performers hidden in local haunts from homes, hostelries and high streets will bring Hallowe’en back from the dead – and you can find out what’s been haunting the locals! Bringing together the best in Cornish writing and performance, this event will feature original stories, chilling experiences and Hallowe’en games. 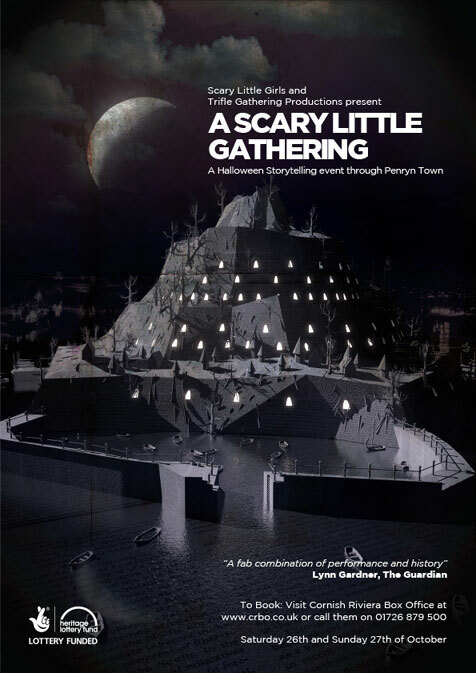 Join us for this intimate, spine-tingling event – and see, hear and experience Penryn as never before!